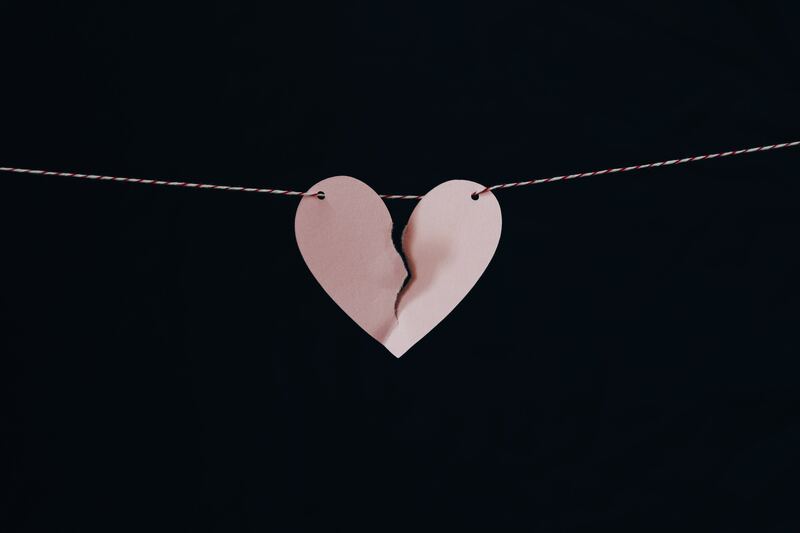 If you use Mailchimp and Shopify then you’ve probably heard the news that they’ve ended their relationship and will only be talking through third party integrations from now on. Boo! 1 – Mailchimp and Shopify direct integration is no longer available to NEW users. 2 – EXISTING users have until May 12 to choose whether they will adopt a third party solution or move to another platform that offers a one-click integration. Of course this means that small business owners are caught in the middle and now need to decide whether to stay with Mailchimp or find another Email Service Provider. According to Mailchimp, it’s about maintaining the privacy of their customer’s data after Shopify updated their terms to gain access to any data Mailchimp collects about its users, including data it collected in the past. And Shopify argue that by not sharing key data it’s giving their merchants (shop owners) a poor experience because they won’t have complete oversight into their business or customer data. Q1. Why did you choose Mailchimp in the first place? Q2. Up until now, has Mailchimp met your email marketing needs? Q3. Are you an expert user and possibly hitting your head on the ceiling a bit with its functionality, or are you still learning the ropes? It’s easy to get caught up in other people’s comments and opinions because you’ll read everything from those wanting to jump ship to those that don’t think it’s a big deal. Well, there’s essentially two … stay or go. Let’s look at both. The most popular of these is adopting and using third party integrations such as Zapier, Automate or ShopSync. The pros are that you’ll be able to sync your store data and trigger automations. The added bonus is that you won’t have to deal with researching, choosing and migrating to another platform. The cons are that Zapier and Automate consider Shopify a ‘Premium App’ which means you’ll have to pay a monthly subscription fee to use each of them. On the other hand, ShopSync is free. Yes, Mailchimp are suggesting that you manually upload your data. Ummm … the 00’s called and it wants its workaround back. Seriously, we’re living in a world where automation is becoming a necessity in order to run our businesses. The last thing we should be doing is taking a backwards step. Install Mailchimp site code to your website. This will activate pops up and Google re-targeting ads. The cons are that won’t support all features such as product recommendations. My advice, unless you know what you’re doing, or have money to throw at a developer, is to stay away from this option. Once you’ve chosen your integration there’s ONE MORE THING you need to be aware of … because nothing is ever straight forward. Translation – there’s still work to be done and you should allow time for this before May 12. If you’ve been thinking about moving to another provider anyway, then you’ve got 7 weeks to complete this process, though I’d recommend allowing time for migrating and testing. Obviously, it depends on your level of expertise and how much time you’re willing to put into learning a new platform. 1 – An easy to use drag-and-drop template that showcases your products in the most beautiful way. 2 – Segmenting features for sending targeted emails. 3 – Automations for scaling your marketing efforts while you get on with your business. 4 – Opt-in forms that can be embedded on your website or integrated with your online store. 5 – Tracking and analytics for measuring how a campaign or automation performs, so you can do more of what works and less of what doesn’t. Of course, each platform delivers these features in their own way, so take note of what will MOST suit you now and into the future. You’ll also want to take note of volume and how many subscribers you can contact each month, which of course then dovetails into what budget you can afford. Active Campaign is a powerful marketing automation tool and its prized feature is its very visual automation builder, which is included across all pricing tiers. It provides all of the features you’d expect from an email marketing platform such as a template builder, list segmenting (you can segment your contacts based on their behaviour, location, and social data), and sign up forms that can be embedded on your site. It has to be said though that it’s automation feature is amazing. Apart from being very visual, the number of conditions and actions to choose from may feel a bit overwhelming at first, but once you realise you can trigger a sequence of emails based on a subscriber simply clicking a link, then this opens up a world of possibly for your automated marketing comms. If building an automation scares the heck out of you, you can use their handy automation template library, or buy pre-made templates in their marketplace. Unfortunately one feature they don’t offer is a landing page builder. If you’re using landing pages in Mail Chimp then you’ll need to find a third party solution, such as Lead Pages. And (at the moment) their reporting function is a bit limited. If you want better reporting options you’ll need to upgrade to one of their higher-priced tiers. AC does directly integrate with Shopify, but only on their Plus, Professional and Enterprise accounts. Their Plus plan is USD$49 per month billed annually or USD$70 per month billed monthly. I’ll leave you to work out the AUD. Now, that doesn’t mean that you won’t be able to integrate AC’s Lite package, it’s just that you’d need to use Zapier or Automate and then you’re looking at paying a monthly subscription again. To begin with, Klaviyo is one of the few email marketing services designed specifically for ecommerce. It offers integration with Shopify as a ‘one-click’ option. Like Mailchimp, it has a visual template builder so you don‘t need programming skills to create your automation workflows, email templates or install signup forms to the website. Phew! It lets you segment your list based on different criteria, such as customer behaviour on your website, through their custom web-tracking system. And because it’s purpose built for ecommerce, you can do things like create targeted segments, for example, females who bought a dress last month, or even last summer. Super powerful! It also integrates with Facebook custom audiences so you can target your contacts on Facebook via segmenting too. Of course all of this comes at a price. If you go to their website and check out their pricing tiers, it appears that they offer a ‘free’ version, but look closer and you’ll see that the wording implies there’s a maximum cap on email sends (500), period. Not per month. That means you’d need to upgrade to at least 300 contacts per month with unlimited sends, which is USD$20 per month. The more contacts you have the more you pay. 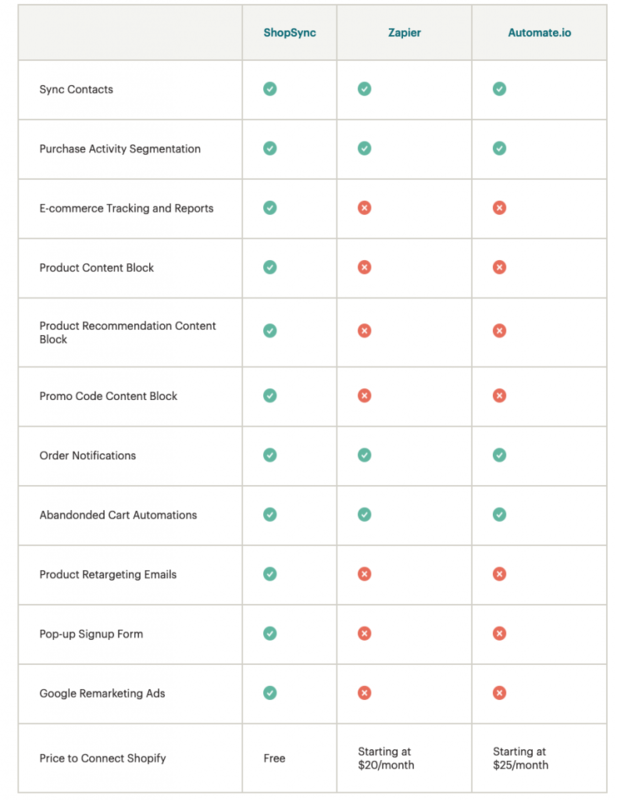 Omnisend is an easy-to-use email marketing tool specifically tailored for ecommerce. One of its neat features is a campaign booster that will automatically segment and re-send an email to recipients who haven’t opened the first email – super helpful for those limited-time offers like a flash sale. You can build emails from ready-to-use templates to save you time. The content editor is able to pull in products from your store to include in your emails and newsletters. Of course there is an automation tool with features such as allowing you to send emails according to website visitor behaviour as well as abandoned cart and product recommendations. This email marketing platform works with Shopify, which you can check out more information on here. Want me to review another platform? There are SO many options to review, so I’ve chosen the three most common ones that people have been chatting about in groups over past couple of days. That doesn’t mean I think other platforms don’t cut it. What are your thoughts on MailerLite as an alternative to Mailchimp? Did you have a chance to try it? They are both really close. It depends what your priority is. Email Tool Tester is a good resource to help you really delve in to the details (https://www.emailtooltester.com/en/mailerlite-vs-mailchimp/), but like I said, they’re so close in functionality that it really depends on your primary purpose.